September brought forth even more doubles. Double restoration of things lost, double gifts, double blessings and even times of double honor. I believe that we have entered an outpouring that will prove to be a double portion time of restoration, upgrades and gifts that bring great joy. 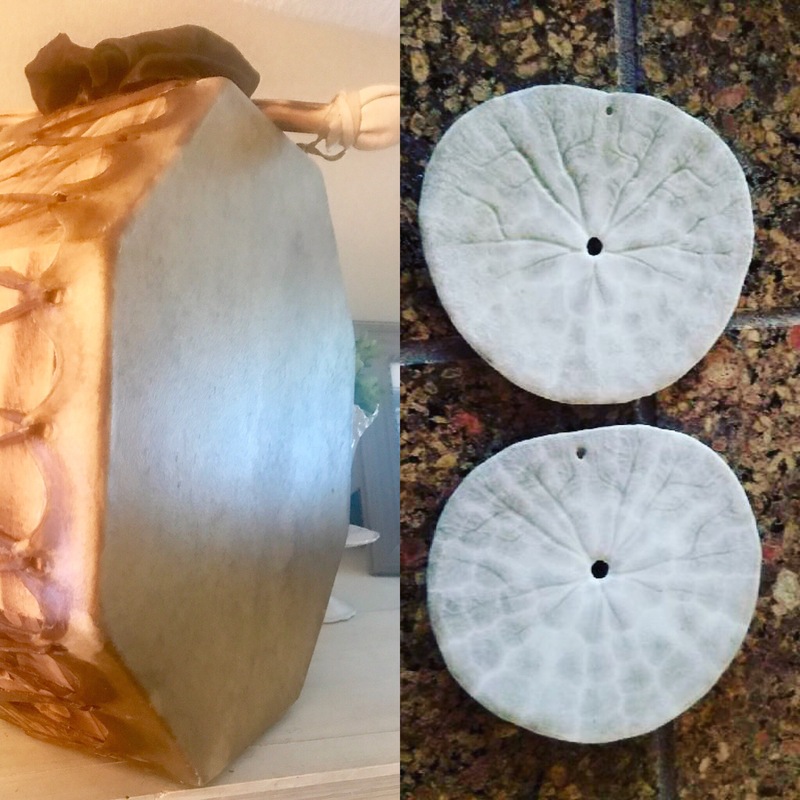 Just this past weekend my husband and I were given a double-sided native drum as an anniversary gift. Our Native American friend heard the Spirit tell her that she must specifically give us a “double-sided” drum. Then she played it like a heart beat with that sound, “double beat, pause, double beat, pause”. As she played it we were overcome with His love. The next day we left on our anniversary trip that we had been gifted with that was two (double) nights away on the Oregon Coast. During our first meal away we ordered some garlic rolls but the waitress brought us a double order of them. It was double what we ordered and far more than we could eat. We ate our order and went home with a double portion of twelve rolls. It reminded me of the loaves and fishes…after the people ate there twelve baskets left over. While we were staying at the coast we took long walks on the expansive beach. Everywhere we looked there were thousands of broken sand dollars. Not one was whole or in tact. I longed to find a whole one but there were none to be found. On our last night we once again took a walk on the beach. At the end of our walk we turned to head back to our cottage and I looked down and saw a whole sand dollar. In a moment I knew there would be a second one and within right then my husband leaned down and picked up another whole one. Again I shouted, “Double Prizes” with great joy. I felt likes small child who had won a great prize. I share this because I felt the joy of the Lord in each one of these things. They were what may appear small things but they brought great joy. It began with the beat of His heart and ended with finding treasures that made my heart glad. This is not only for my husband and I but I hear the beat of His heart over all of His children. It is beating with anticipation of the joy that He has for you. It is beating with the love of the Father and the love of the Bridegroom all at the same time. Add your faith to His words! Agree and let joy arise…it is the day of double portions! This entry was tagged breakthrough, desirefulfilled, double, double prizes, doubleportion, Encouragement, faith, Favor, GoodFather, Hope, Jesus, JOY, kathipelton, NOW, Prophesy, propheticword, Supernatural. Bookmark the permalink.